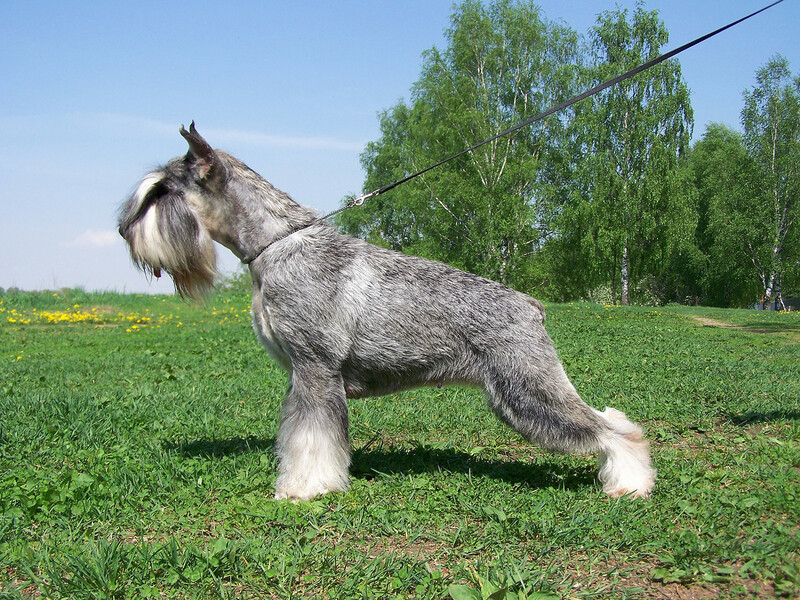 Schnauzer - a dog of medium size, with harsh hair, his head with a thick beard and eyebrows. Schnauzer - a dog of medium size, with harsh hair, his head with a thick beard and eyebrows. Active, outgoing, very agile, quickly finds a common language with children, playful and incredibly devoted to his master. Beautiful dogs and puppies of large and small breeds posing in photos of high resolution. High quality pictures with dogs.